Perfect 10 is a leading solution provider for the Telecommunications Industry. 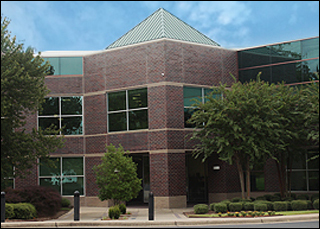 We are a debt free, privately-owned company, founded in 1979 and headquartered in Little Rock, Arkansas. Perfect 10 has flexibility to do what is necessary to meet our customer's needs and exceed their expectations. Our goal has been to hire the best people, create the best products and to help our customers find the best solutions. Perfect 10's patented products are in over 100 million homes worldwide. Perfect 10 has several channels from satellite resellers to wireless contractors and everything in between. Becoming a partner has never been easier simply complete the attached form to join our Family. 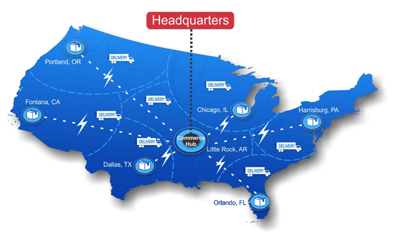 Seven strategically placed U.S. distribution centers with acres of dry secure storage, allow Perfect 10 to stage orders from any location and customize logistics services to minimize expense and delivery time. Perfect 10 offers value added benefits including Kitting, Assembly, Pick & Pack and many other logistics services. Perfect 10 processes over 1,000 orders each day, providing over 90% of the United States with next day service.